Stairs. Oh how they play an important part of our lives. It’s where you walk, climb and run into. Most of your childhood memories are spent playing in there. But aside from that, they also make a wonderful trademark. Some heart stopping effect when you see it in movies. Sure enough you’ve noticed them now. And if you are having troubles identifying some of them, check out the list below for some memory check. The film’s not just all about shipwreck and some tragic love story. But can’t blame you though. It’s where people focused on too much while watching this romance flick. But if there is one thing that you could notice, there’s this staircase in Titanic ship that draw out a lot of emotion from the readers. It’s where Rose ( Kate Winslet ) descended as a beautiful reckless aristocratic girl from above as Jack ( Leonardo Di Caprio ) watched her adoringly downstairs. It’s a toe melting scene to watch actually. And it turned out to be a tearjerker one at the last part. As Rose sinks into her sleep as an old woman, she dreamed of the sunken ship again. Then there goes the staircase, and this time, her dear lovely Jack waits for her from above, ready to reunite with her after their heart wrenching love affair. 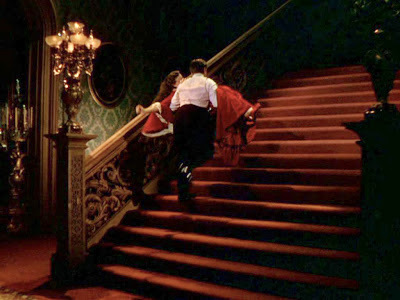 Gone With The Wind left a staircase trademark in the hearts of many people. It’s where the intense drama would usually occur. Who could ever forget the ravishing Scarlett O’Hara ( Vivien Liegh) when she was scooped up in the arms of her dashing husband named Rhett Butler (Clark Gable)? The grandiose staircase really made an intense effect with the scene and also for the eyes of the viewers. The upper portion of the steps, which was a bit shadowy, draw out an element of excitement when Rhett hauled off his wife upstairs. The stair scene wasn’t the center focus of the story. In fact, it was one of the parts wherein the heroine became the laughingstock in the film. She was a nerd who had just undergone some kind of a face makeover. And she was all perfect, dashing and gorgeous in front of her crush. 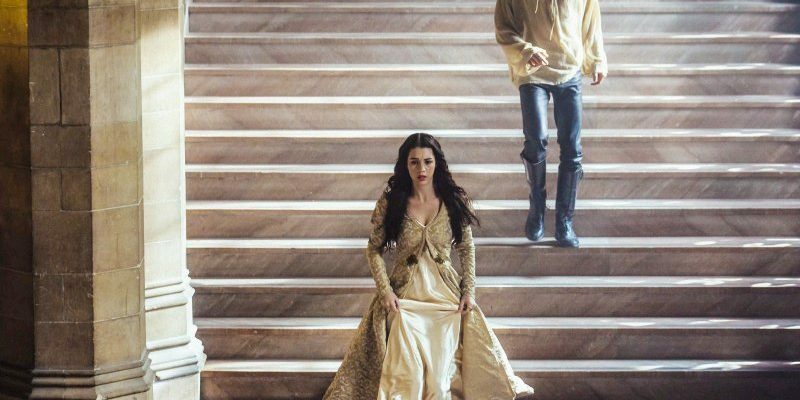 And when she descended at the stair in her own home, looking perfect in her dress, she suddenly dropped down the stairs. It happened that the steps were too weak and too brittle to accommodate her weight. So there, she drop down in her own humiliation. It was totally hilarious that the recent romantic scene died down instantly. Ah yes. Who could ever forget those scenes? Those hilarious parts wherein the burglars went like fools not knowing where to find naughty clumsy Kevin? The stairs were one of his traps actually. Some childish trap that caused lots of mischief for the silly burglars who dared to take a loot in Kevin’s house. Instead of being worried about the kid’s dear life in the clutches of thieves, the stair chase gave everyone a huge laugh. Aquiline works as an exclusive writer for Scoopfed. Sharing bits of helpful information to people gives her satisfaction. She believes that every project comes with a process that needs to be accomplished. Aided with her personal experience with lots of things, Aquiline loves giving out tips. Tips that come in a handy when you want to simplify complex things. Apart from that, Aquiline also writes her own story at Wattpad. She loves losing herself with the words and thoughts she created for her characters.